A minor DUI is also referred to as a Minor Operating a Vehicle Over .02. This crime is different than a regular DUI, which is operating a vehicle with a BAC of .08 or higher. If a minor is found guilty of a regular DUI, they will be charged for Driving Under the Influence, but it only takes a BAC over .02 to be charged with a minor DUI. And, any measurable amount of marijuana THC, as measured through a blood draw analysis, can also result in an underage DUI criminal charge here in King County. In many respects, the most damaging part of a minor DUI conviction is acquiring a criminal record. The perception of being a criminal can significantly damage the perception of a young person's character and make it harder for them to get a head start in life. If your child if facing the prospect of a Redmond minor DUI conviction, you should do everything you can to protect their future. The Redmond minor DUI attorneys at the Law Office of Jason S. Newcombe understand what's at stake these cases, and can help you take the next step. Our King County DUI attorneys handle all City of Redmond Municipal Court and all District Court minor drunk driving cases. The court that you are required to appear in will depend on which law enforcement agency arrested you. If you were arrested by the City of Redmond police, you will be in the Redmond Municipal Court. If you were arrested by a Washington State Trooper or a King County Sheriff's Deputy, you will be in the King County District Court. A minor DUI is a misdemeanor in Washington State. If convicted, there could be very serious future employment consequences. A Redmond underage DUI conviction also exposes a defendant to up to 90 days in jail and fines totaling $1,000. Additionally, other discretionary penalties and requirements could apply. And, this is only on the criminal side of the case. Every Redmond DUI case, whether it charged as a "minor" or an "adult" DUI, also has a separate license suspension case initiated by the Department of Licensing under Washington's "Implied Consent Law". In every alcohol-related minor DUI case, you only have 20 days from your date of arrest to properly file for and request a contested hearing. If you do not, you are looking at a mandatory minimum suspension of 90 days. Now, no kid facing their first minor DUI criminal charge is likely to be exposed to the maximum misdemeanor penalties of 90 days in jail and a $1,000 fine here in Washington State. But, it's important to understand that the consequences of a conviction can be severe. 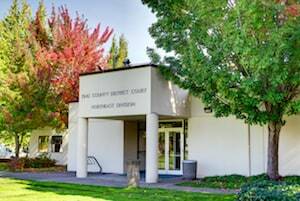 Like a sprained ankle, a minor driving under the influence charge is nothing to play with given that it's now a major point of emphasis both with the City of Redmond prosecutor's office and the King County District Attorney's office. Sometimes our Redmond minor DUI lawyers are contacted by young people who pled guilty to minor DUI. After realizing the full effect of that choice, they ask if there is anything our lawyers can do to erase the blemish from their record. You need to realize that once a minor has a minor DUI conviction on their record, there is little that can be done to reverse the damage. Employers, creditors, and renters routinely check the criminal histories of applicants, which can be done quickly from any computer. Young people with minor DUI convictions may find it difficult to get fair treatment if they have a criminal record, even at a young age. If an employer or renter has a choice between an applicant with no criminal record and another with minor DUI conviction, which do you think they will choose? The end result it that one moment of poor judgment ultimately derails a young person's life. Our Redmond lawyers believe that one youthful mistake shouldn't end up causing so many repercussions. In fact, our Redmond minor DUI attorneys aggressively defend clients facing these potentially life-altering charges, and we are ready to do the same for your child. If you or your child has been charged with minor DUI in Washington State, contact our Redmond law office today and get help from attorneys that care. After a minor DUI arrest, you only have 20 days to request an administrative hearing with the Department of Licensing. Contact one of our professional litigators today for a free consultation. Your Redmond minor DUI lawyer will use their extensive legal experience to aggressively defend your rights. If your child has been charged with a more serious "adult" DUI, their defense becomes even more important, so don't waste another minute if this applies to your situation.